The Information cites two sources suggesting that more than 50 million Alexa-enabled devices have been sold. This claim is substantiated by other publicly available data. The Information also cites the sources as saying only 2% of Alexa device users have ordered something using their voice in 2018. This seems plausible, but runs counter to many other sources of publicly available consumer survey data that report between 17-35% voice commerce usage by smart speaker owners. The Information has two interesting revelations today (N.B. paywall) attributed “to two people briefed on the company’s internal figures” related toAmazon Alexa usage numbers. First, the source said only “2% of the people with devices that use Amazon’s Alexa intelligent assistant…have made a purchase with their voices so far in 2018.” Second, the sources claimed there are over 50 million Alexa-enabled devices now in use. The fact that there are two sources should be viewed as significant. With that said, these claims merit some further analysis. In terms of Alexa devices, more than 50 million in use is almost certainly true. In a May survey of 1,200 U.S. adults, Voicebot found that just under 34 million people had access to an Amazon Echo device. In a January survey, we found that the average number of devices per smart speaker owner was about 1.8. You shouldn’t simply multiply these numbers from two different surveys, but you can have confidence that the number of Echo devices exceeds 50 million and may be closer to 60 million just in the U.S. When adding third-party devices with Alexa access, the number certainly rises higher. More data would be helpful in terms of what was meant by the figure, but it probably doesn’t alter the key conclusion. There are now a lot of Alexa-enabled devices in use. That is something we knew from many other data sources. It may very well be that Amazon is frustrated by low usage of Alexa for purchases. And, consumers may be interpreting what it means to shop or purchase through Alexa differently than Amazon. However, there are multiple data sources citing consumers that own smart speakers reporting voice commerce usage much higher than 2%. A Voicebot survey in May 2018 found that 26% of smart speaker owners overall claimed to have used the device for shopping. Interestingly, a smaller percentage of Amazon Echo owners claimed to have made a purchase using the device than Google Home owners in two different surveys in 2018, but regardless the numbers were well above 2% for both. 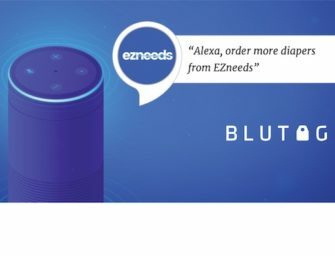 Edison Research in the same time period found that about 33% of of smart speaker owners have used the devices to research a product, 25% have added an item to a shopping cart, 17% have ordered a new product not purchased previously and 17% hved re-ordered a product previously purchased. Consumer surveys by Cap Gemini and Walker Sands suggest the number may be even higher. What could account for the difference? On the research side, there are different survey samples and questions which can skew results one way or another. However, these are all an order of magnitude higher than the 2% reported by The Information’s anonymous sources. Are consumers lying about their use of the device? That’s possible but the numbers are so different I suspect there are four things could be driving the variance. First, The Information was told that it was 2% in 2018. It may be that many smart speaker owners have made a purchase through an Alexa device, but have not done so in 2018. Second, we also don’t know when this statement was made “so far in 2018.” Was that 2% had made a purchase in January, through June or some other time period? Third, while U.S. adoption may be over 20%, it may be that international markets are not adopting voice shopping at the same rate. Three of the studies referenced above were based on U.S.-only surveys while one included three European countries. Finally, it may also be that The Information’s source only saw data from a particular category and not overall. Some categories are doing better than others in voice shopping according to consumers. However, it remains that we have a significant difference between what consumers are saying about the demand side of voice shopping and what some other sources are saying about the recent experience of the supply side of the transactions. One or both of them must be incorrect or we are looking at very different definitions and scope. What is the Prognosis for Voice Commerce? It is important to differentiate between Voice Commerce and Voice Shopping. The former is about the transaction and the latter is about the full path to purchase. It could be that voice will be widely used for product search, comparison and price discovery, but not often to complete transactions. Or it could be used for both. Regardless, consumers have already expressed an interest in and some experience with voice shopping. When one in five consumers say they are using voice to shop, brands and retailers need to pay attention. Over time we should see some reliable trend lines to know if it is going to be heavily used or if trials now will not become habits. Also, keep in mind that Voicebot and Voysis’ Voice Shopping Consumer Adoption Report found that more than half of voice shopping experience was on smartphones and not smart speakers. Amazon is counting on smart speakers to drive incremental sales volume, but the real action today may be on smartphones. The Information has a very good track record so I take anything it reports seriously, especially when reporters cite multiple sources and mention Voicebot data in their reporting. However, I will be looking for some corroboration from third party sources that can reveal the methodology and scope of their data sources and analysis to determine how it should be interpreted. I doubt we will have to wait for very long to learn more.